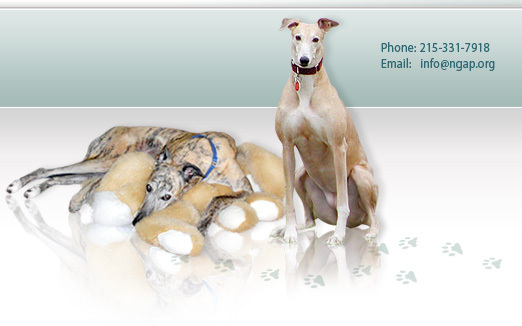 Ohio State University's Greyhound Health and Wellness Program has put out their new quarterly newsletter and this month the topic is hypothyroidism. They are stating a position that does not agree with that of the National Greyhound Adoption Program. Our position has been posted on our website in clear terms after more than fifteen years of using thyroid supplement and seeing the wonderful benefits so many dogs have gotten from its use. Thyroid supplementation, for some unexplained reason, will help most greyhounds that are low esteem, storm-phobic, spooky, shy, or that don't interact well with people or other animals. This supplement will bring happiness and joy into their lives and thus bring happiness and joy into ours as well. You can be assured, if we at NGAP saw a downside from its use, we would not recommend it. Every time I hear about a spook getting loose and being so difficult to retrieve, I think 'There is a good candidate for thyroid supplementation! ', because sometimes escapes cannot be avoided. Retrieving a dog that it is constantly scared out of its wits is difficult and trying to relieve that fear makes all the sense in the world. Anyone in doubt can read the clinical study we did on Spooky by clicking the link below or cutting and pasting it into your browser. Ohio State is doing a great disservice to greyhounds by simply waving their hand and stating what you should do if you greyhound is currently on thyroid supplementation. Your greyhound may need to be on thyroid supplementation. If your greyhound is on it because of behavioral issues as discussed by NGAP, I would not take their word for it that your dog should be taken off any medication. 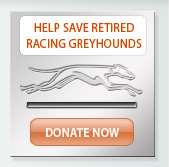 OSU has not adopted 7000 greyhounds. They have not seen or taken care of 7000 greyhounds and they have not personally seen, nor do they apparently wish to see positive results that this supplementation brings about. If OSU wished to undertake a study of shy greyhounds, there are plenty out there to be studied. One of the good aspects of thyroid supplementation is that, if for some reason, you see an adverse reaction, the dogs are simply taken off the medication and those symptoms will go away. Adverse reactions of any kind in greyhounds from thyroid supplementation are very rare. 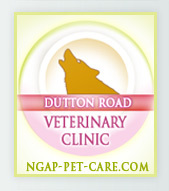 There are many things that we do at NGAP that just work better than what is commonly used in the general veterinary community. You would think they would want to learn from us, as opposed to fighting against us. Everything we do, we do because it works and it has been tested, and retested, and retested so many times that we are sure of every procedure we use and every statement we make. When we say our dogs don't bleed postoperatively, that's because we do more surgery on greyhounds than probably anyone and they don't bleed. Because of this, our opinion is obviously that if they are bleeding at Ohio State, Ohio State has the problem. If OSU and any of its doctors wish to debate the subject, I will be ready and willing! Won't it be fun!